Carbs, why do I love you so? We have an abusive relationship with one another, I love to abuse you, and you in turn abuse my body. I give you up for a while, then fool myself into thinking, “One bite will be okay”. One bite leads to a week, which then leads to months and months of carb debauchery. In the end I’m tired, inflamed, and my blood glucose level is whack. Once I’m sick of feeling ill, my last pair of fat pants is barely buttoning, and all my t-shirts look like I’m wearing baby shirts, I force myself back on track. It’s been 3 days since I’ve cut you from my life again…and already 7 pounds of inflammation is gone. I know you’re bad for me, but I still love you. I guess I’ll have to do it from afar. In the mean time, I need a plan. I need to prep easy and delicious low carb meals and snacks that won’t leave me room to dwell on how much I miss you. 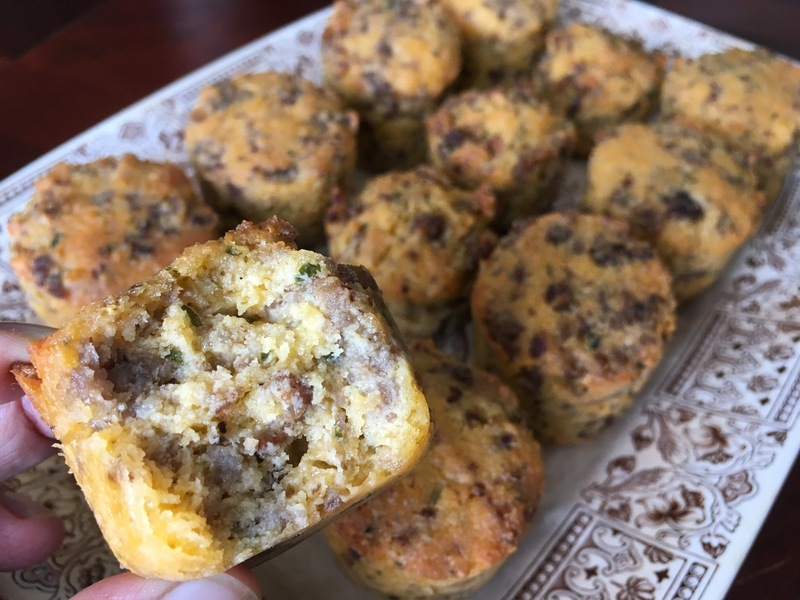 Let’s start with Sausage, Egg, and Cheese muffins! I have to admit, I don’t eat breakfast. One cup of coffee sees me through the morning until the early afternoon. I do, however, love breakfast food! Anytime of day is the right time for me. 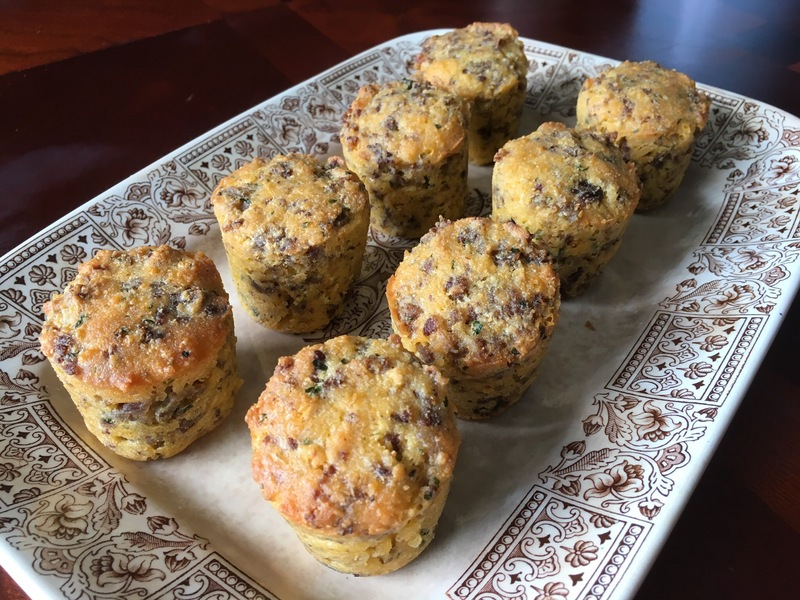 I like this recipe because it’s easy, and I can store the rest in my fridge or freezer for a quick snack later on. When I’m low carbing , it’s all about being prepared. I added parsley flakes and some garlic powder as well, you can add or omit seasonings to your liking. 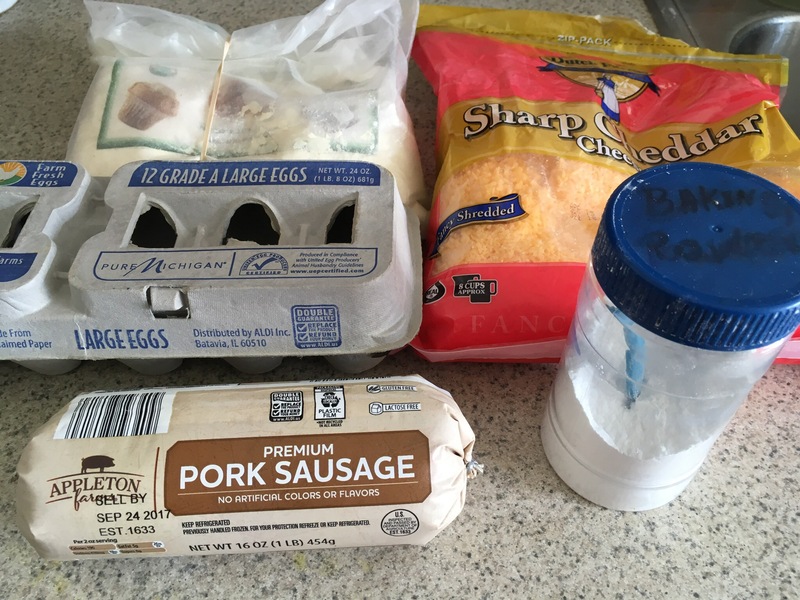 First, brown the sausage, and as that browns, mix the eggs, coconut flour, cheese, and baking powder. Add the browned sausage to the egg mixture and mix well. 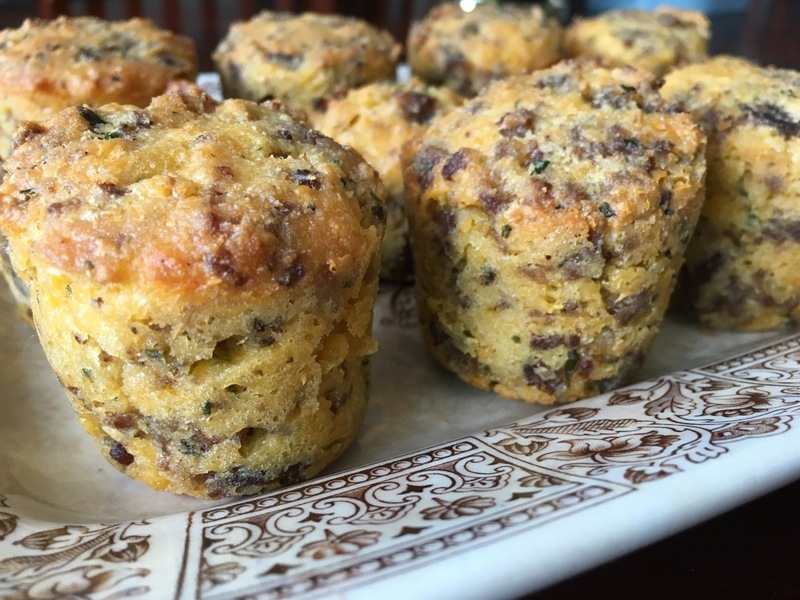 These little muffins are pretty filling, and really satisfy the craving for something bready. If you want to make them extra fancy, add a dollop of sour cream and maybe some hot sauce. Next time I’ll add chopped jalapeño, and sub chorizo for the breakfast sausage. 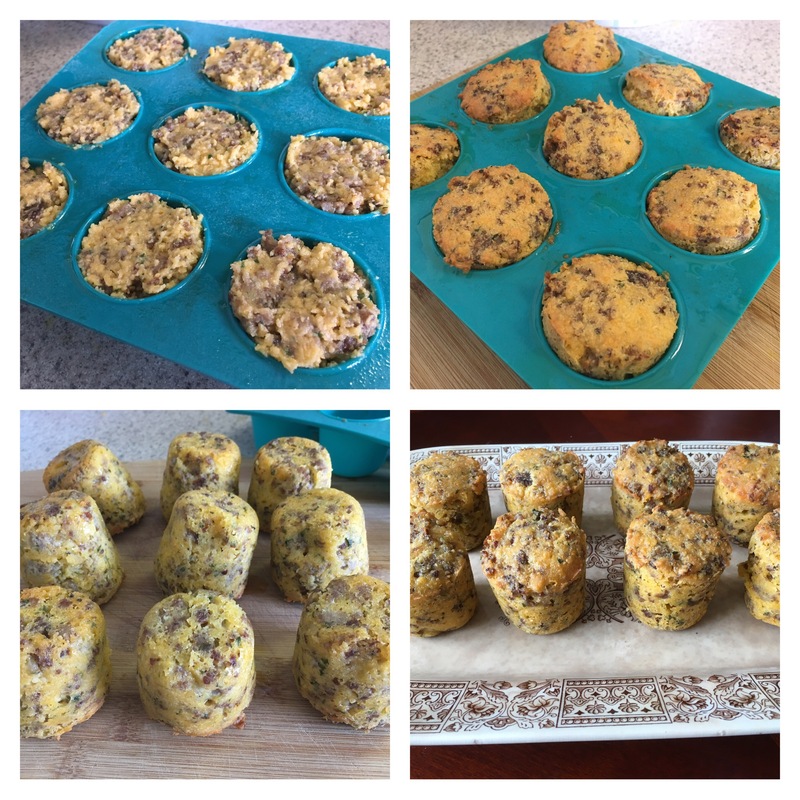 Then we can have Mexican sausage muffins…one more recipe for the arsenal. Enjoy!